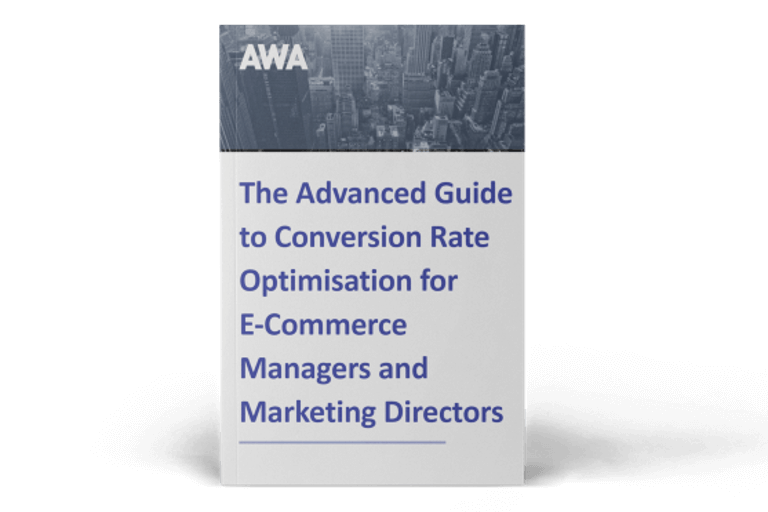 As we approach the end of 2014, it’s a good time to look at what may be coming up in the next 12 months in the Conversion Rate Optimisation (CRO) world. All the signs point to a step-change in both the importance and role of mobile CRO, so I have focused three predictions around this fast-growing area. Why is 2015 going to be the year of mobile Conversion Rate Optimisation? Browsing and shopping on our mobiles is not a new thing. So why is mobile CRO about to take off? Well recent stats show that mobile e-commerce is definitely on the rise. Mobile retail commerce revenue in the United States is estimated to have reached 17 billion U.S. dollars by the end of 2014, up from 8 billion U.S. dollars just two years ago in 2012. Growth in the number of people using smartphones is still exploding. Meanwhile, more users are becoming 4G enabled, and many now find that their mobile connection is actually faster than their desktop connection, meaning mobile shopping becomes ever more attractive. As numbers of smartphone users grow and reach a critical mass, retailers and brand owners now have the tools to carry out separate CRO and A/B testing programmes for mobile and tablet sites alongside PC websites. Until now, much CRO work has focused on getting the PC site optimized, with winning split test web pages simply transferred on to the mobile and tablet versions. However, as the key to successful CRO is making data-driven decisions, it’s becoming clear that we can’t assume mobile shoppers have the same needs as desktop shoppers. Mobile CRO will become essential in its own right – rather than just transferring over winning web pages from the PC optimization programme. On a recent project, split testing of a new home page showed a 21.7% sales uplift, but when this was split into PC and mobile users the figures for PC showed a whopping 34.7% uplift. The tiny minority of mobile users responded less favourably, as revenue per mobile visitor actually went down by 6%. Perhaps this is not surprising as the new home page was researched with PC users and designed with PC users in mind. However the clear message from this test is that what worked for the PC visitors wasn’t nearly as compelling for the mobile visitors. However, the industry also needs to get to grips with the fact that mobile and PC users are not always different people. They’re often the same visitor acting in different ways depending on which of their devices they’re on at that particular time. It’s all about the context. Are they browsing or shopping? On the train or at work? In town or at home? Behaviours, needs and actions can change depending on which device the person is using at that time. It’s becoming common for multiple devices to be used to conduct a single transaction; mobile to browse and shortlist; desktop to make the purchase. For example, on one recent project we found that people on mobiles were browsing on the phone on their commute home and sitting down with a tablet or at a PC to purchase when they got home. Currently it is a little hard to track this behavior, although Universal Analytics is starting to make some headway. In short I see a new way of thinking on the horizon. Seeing ‘mobile CRO’ as a ‘nice to have’, or thinking that doing CRO on a desktop website means automatic improvements to a mobile site are the kinds of ideas that should be left in 2014. Just because we need to carry out separate CRO projects for mobiles and PCs, doesn’t mean we should use a different methodology for each. To date, there has been a sense that the process for mobile CRO was somehow different from PC’s. Yet, although the device and the customer path through the site may be different, people are still people. Mobile and desktop are simply two sides of the same coin. 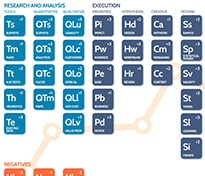 Mobile CRO should use the same processes, techniques and principles as ‘traditional CRO’. When people refer to ‘optimising their site’ in the future, that will automatically include reviewing the analytics for their mobile, tablet and desktop sites and looking at voice-of-customer data in parallel. Then, just as traditional CRO for PCs, the data will be used to formulate hypotheses about specific requirements, frustrations and motivations of each type of user and split tests created for each device. I predict we will see more and more site owners realising in 2015 that whether you are looking at desktop, mobile or tablet CRO, the principles are still the same. You need to get inside the head of your visitors, find out exactly how and why they are behaving and what they want in order to develop relevant strategies that take into account the needs of all customers across all their devices. Wireframes and new web page designs need to be created in the same way, then tested, monitored and the results analysed. In many ways this is reminiscent of the way retailers stopped thinking about ‘in-store’ and ‘online’ and began thinking omnichannel. The false split between mobile and desktop is starting to blur, and I think that trend is definitely set to continue. Up to now there have been very few case studies about mobile CRO. 2015 is likely to be the year when that starts to change. The main reason I think mobile CRO is about to break through into our mainstream thinking is because companies are starting to see the results of doing it and doing it well. When it’s done effectively, the benefits of having a strong mobile-optimised website are clear to see. A study by NetElixir showed that the conversion rate for smartphone shoppers on mobile-optimized sites is 160% higher than the rate for smartphone shoppers on non-optimized sites. (The smartphone conversion rate was 23% of the overall site conversion rate for those not optimized for mobile; a figured that increased to 60% of the overall site rate when measured for mobile-optimized sites.) That’s a big number, and one that online retailers are surely going to find harder and harder to resist. Quite simply, with more people shopping on their mobiles, the business case for mobile CRO becomes more compelling, so more web owners will invest in it. 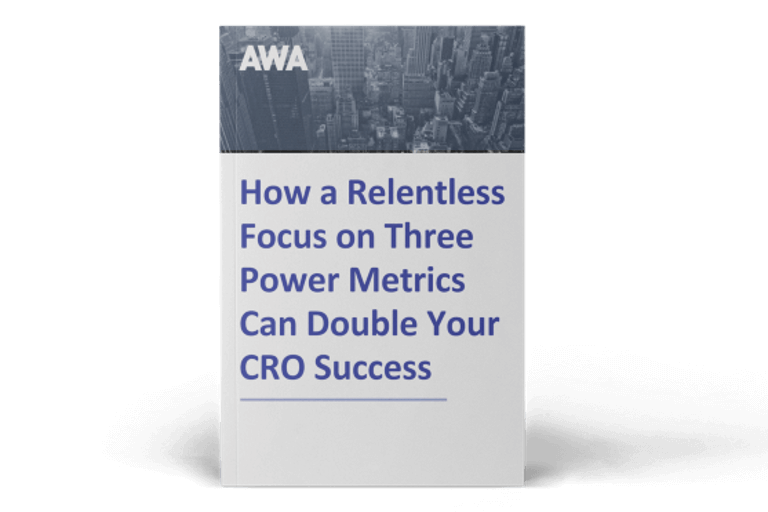 We have already had a number of clients ask us to analyse and optimise their mobile and tablet sites this year, as well as their desktop version – this looks set to continue into the new year, so you can certainly expect to see lots more case studies from AWA highlighting the value of mobile CRO.